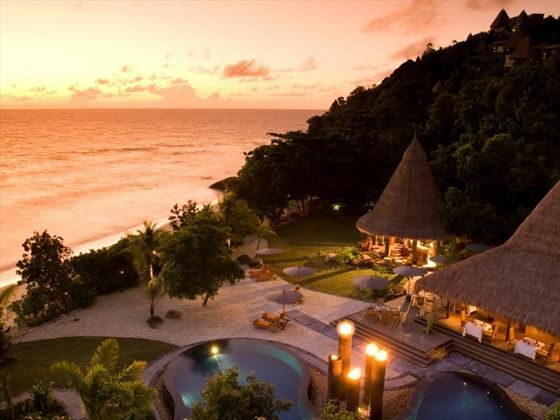 Maia Luxury Resort & Spa is an utterly luxurious resort sitting on the western coast of Mahe. 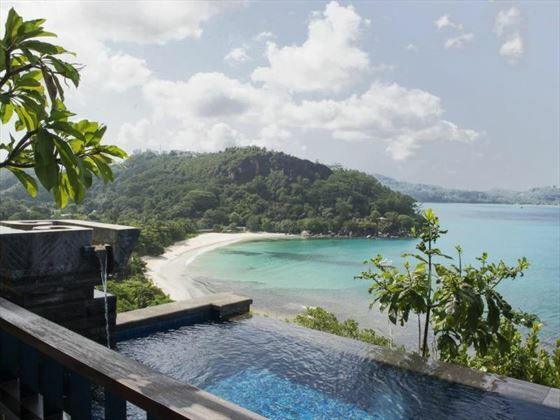 Offering the ulitmate luxury, this hotel has some of the most incredible accommodation in the Seychelles – every villa has its own private plunge pool, a 24 hour butler service, and stunning ocean views. 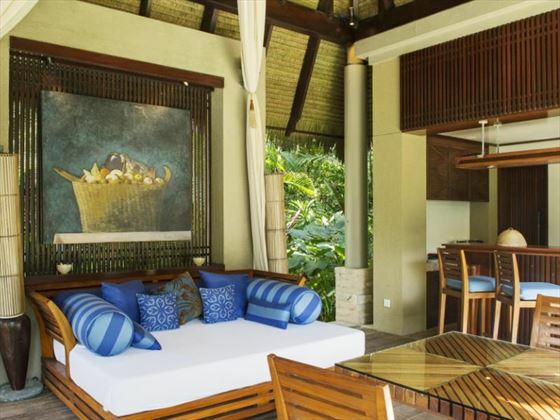 With a total of just 30 villas, there’s a secluded and quiet feel to the resort too – making it a fantastic choice for honeymooners or couples looking to get away from it all. 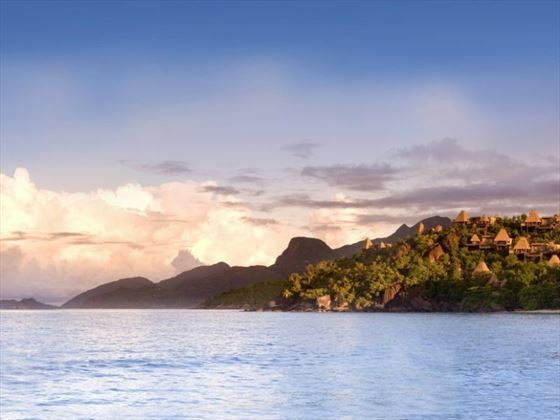 There’s a great assortment of activities including group yoga classes, snorkelling and a selection of complimentary watersports. 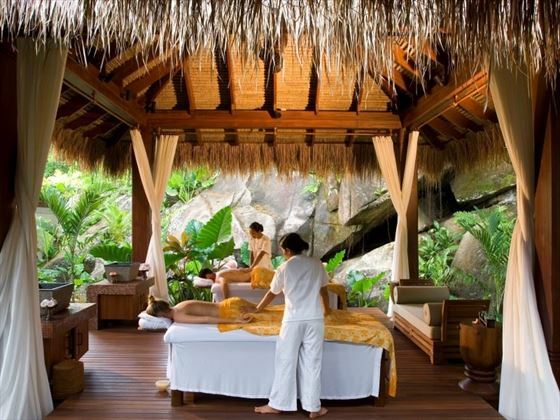 The impressive Balinese-style spa by La Prairie offers a complete range of massages, therapies and rejuvenating treatments. You can also make use of the resort’s main swimming pool or find a spot on the perfect white sand beach if you need to relax. The resort also caters well to families with the extensive Very Important Kids programme organising a range of daily activities for all ages to enjoy. Personalised activities can also be arranged for children and babysitting can be arranged on request. 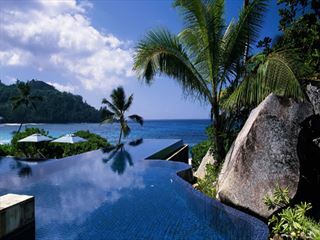 Further reading: Maia Luxury Resort & Spa is featured in our guide to the top 10 luxury hotels in the Seychelles. 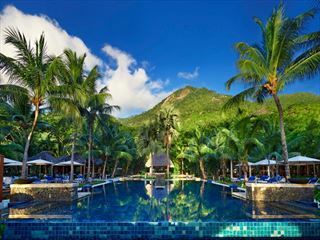 Enjoying a prime location at Anse Louis on the western side of Mahe, the resort opens up onto a fine beachfront. 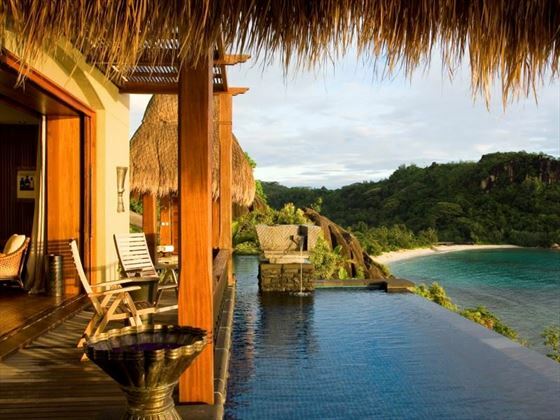 There’s a total of thirteen Ocean Panoramic Villas which are hidden into the verdant hillside and overlooks dramatic views of the bay, beach and ocean from a sublime setting. 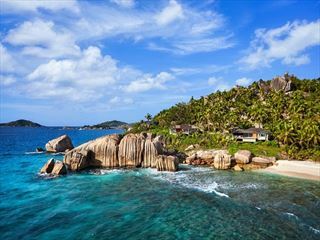 Each villa spreads over 250sqm of private living space with a design that blends modern, exotic décor and soft furnishings with the natural surroundings of lush gardens and granite boulders. 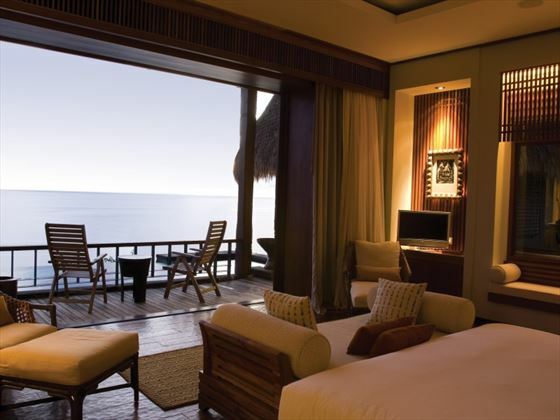 Choose from a sublime array of scenery to indulge in the signature MAIA experience, from an ocean-level garden setting with direct beach access, or an exclusive hillside retreat with sweeping sunset vistas with a total of 17 Signature Villas. 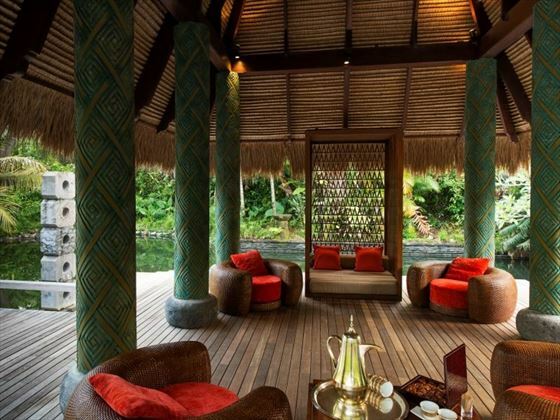 In addition to the extensive list of luxurious amenities included in the previous category, these 250sqm MAIA Villas further indulge you with a further selection of exclusive privileges, including welcome champagne on arrival and pampering in-villa services such as manicures and private yoga sessions. Open-sided with high ceilings to soak up the gorgeous surrounding scenery, Tec-Tec blends untouched nature with elegance. 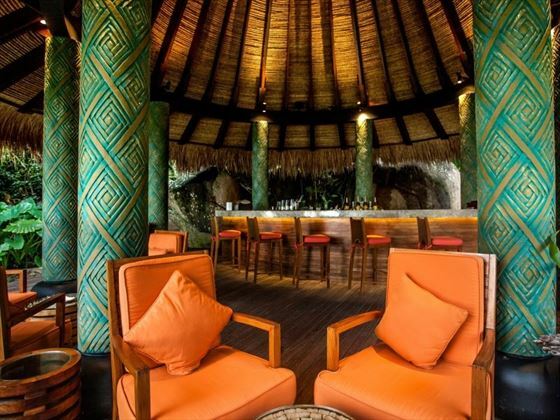 Offering a fine dining experience like no other, the restaurant is positioned beside the ocean and beach, featuring a waterfall-washed lava stone wall and dramatic fire pillars after sunset. The fare is as expressive as the setting, with five expert chefs serving eclectic menus of Thai, Creole, Japanese, Mediterranean and Indian cuisine, prepared with classic technique and mouth-watering presentation. Aptly named, Sunset Bar showcases an ocean dipped sun show every night with tropical cocktails and comfortable seating to make the very most of this magnificent view. You may also choose to come and enjoy the laid-back island atmosphere whilst the suns still shining throughout the day, and quench your thirst with a cocktail made specifically to your taste by expert mixologists. The resort’s private wine cellar features a selection of over 300 vintages from the world’s most revered vineyards, as well as varietals from modern and avant-garde international wine makers. 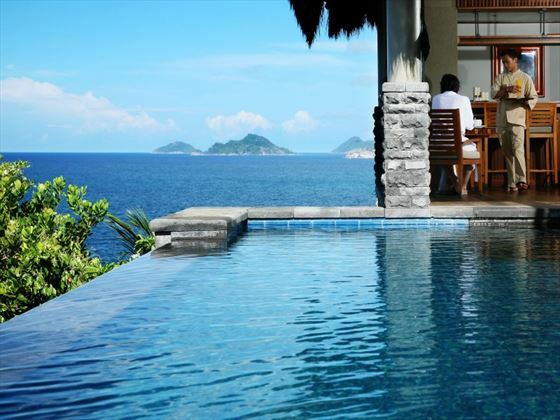 Dining at MAIA is based around a whatever, whenever and wherever philosophy. Private dining can be arranged at a time and place of your choosing for a completely unique and spectacular experience. Choose your menu, drinks and setting, and allow your butler and team of chefs to take care of the rest. 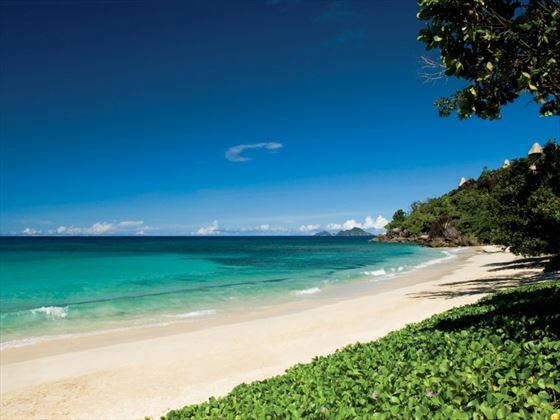 A few options to choose from include the hilltop garden helipad, barefoot dining on the soft white sand of Anse Louis Beach, within your private villa, or with a picnic at the beach, in the jungle or on a yacht… the choice is yours. Maia offers a ‘Whatever, Wherever, Whenever’ mantra with their all-inclusive dining, allowing guests to choose beyond the regular menu and ask for whatever dish they desire, at any time of the day, and at any location in the resort (subject to available produce). The culinary team at this gorgeous hotel are brilliant at creating fusion dishes, using a variety of flavours, textures, colours and smells to produce delicious meals out of locally sourced ingredients. 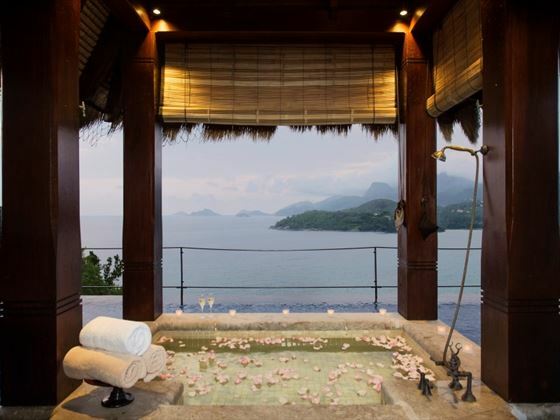 Spa Deluxe Dining Experience: A romantic Candle Light Spa Dinner Experience at the Maia Spa, including 1 Bottle of Champagne, a 3 course set Chef menu & 75 minutes per couple per stay. *Certificate should not be older than 12 months.